Long past the days when they might’ve filed in to lunch with military precision, the three elderly men arrived by wheelchairs and a walker — pushing gingerly into their routine corner of the Sunrise Villa senior home lunchroom in San Jose. For these three veterans of World War II, the daily call to lunch is a time to slip back more than seven decades — into memories of when their young lives were uprooted and they were dispatched far from home to fight against strangers. Every day, they sit in their corner and remember the war — the sacrifices they made, the things they saw — the lives they returned to. “The younger generation, they don’t know what went on,” said Tony Gelardi who at 93 years is the youngster of the group. Across the table, one-hundred-and-one year old Joe Checke and Tony Cecchin,102, sipped coffee, straining to hear one another over the growing lunchtime din. All three rode the seas during the war — Gelardi and Checke served in the Navy — Gelardi in the Philippines and Checke in the South Pacific. “All we did was fight,” whispered Checke, who served 21 years in the Navy. As a U.S. Marine, Cecchin experienced the brunt of combat on the island of Iwo Jima. His unit came under constant fire from enemy soldiers perched in the mountains above his position — he lost friends, commanders. A bomb exploded just beyond his foxhole lodging shrapnel in his head. Not long after, a bullet through his shoulder during a jeep ride finally sent him home. A tiny scar on his forehead still marks the spot where shrapnel remains as a macabre souvenir. 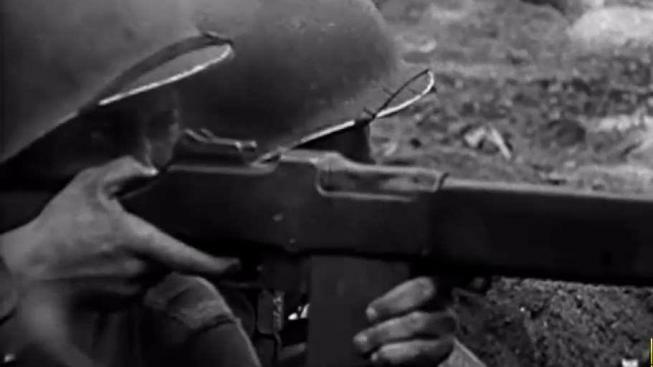 Some 16 million Americans answered the call during World War II. According the U.S. Department of Veterans’ Affairs, that population has dwindled to fewer than 600,000. There are increasingly few who can sit and break bread together, sip coffee and take comfort in the shared experience of a war the world has not since seen. Gelardi, who grew-up in San Francisco’s North Beach, recalled the moment when the war ended. He was aboard the USS Pocono when the captain’s voice bellowed over the loudspeaker. Gelardi said his commanders fired fireworks off the ship as the U.S. flag raised, the National Anthem began to play and he fought back tears. Drinking wasn’t allowed on the ship but for the occasion, the captain opened the beer locker and instructed the crew to help themselves. Cecchin remembered life after his war ended, arriving back in the Bay Area on Treasure Island. Even with hearing aids, the men sometimes had trouble hearing one another. Yet the bond of camaraderie seemed to rise above mere words. In a facility with dozens of seniors, the men somehow gravitated to each other as if their military background was a name tag. At one point, Cecchin leaned over paternally to cut Checke’s lunch into bite-sized pieces as Checke’s right hand involuntarily clenched up. It’s become part of their daily routine. “He’s been through an awful lot,” Gelardi said, looking over at Cecchin who earned a Purple Heart for his wounds. Even though for most, World War II drifts further into memory, farther into the ephemera of history — it was as fresh as yesterday for these three men who had not only survived war — but also time. And along with memories of combat, came the first-hand lessons of war’s finality that only an eye-witness could validate.